Modena District is the perfect residence for those who want a high quality living solution but with the right price for a medium-long stay near Modena. The location is in Campogalliano, near Carpi and Modena cities, just 1 kilometre from the Modena-Brennero highway exit. The building is right next to the Hotel Best Western Modena District, in the industrial area but still very close to the natural oasis where the E.Curiel lakes are.  Modena District Residence offers large apartments and it is ideal for guests who need to stay for few weeks or months and looking for the comfort, the quality but with a fair price. Two rooms apartments: large flats, some of them with balcony, separated night and day area, kitchen, living room, bathroom with shower or bath, two tvs, Mediaset Premium, wifi, suitable for 1-4 people.